Arsenal legend Tony Adams has shown his Gunners roots by basically tipping Tottenham’s mentally weak players to prove a problem for England at the World Cup. 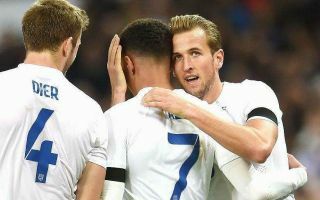 The likes of Harry Kane, Dele Alli, Eric Dier and Danny Rose seem likely to have key roles to play for Gareth Southgate’s squad this summer, after largely impressing at club level. However, many would also argue that Spurs have largely under-achieved in recent times, with this talented crop of young English players yet to deliver any silverware for the club. Tottenham came close to challenging Leicester City for the title in 2015/16 before a late slump in form saw them drop to third, and they finished runners-up to Chelsea the following year. Mauricio Pochettino’s side have also reached the FA Cup semi-finals for two seasons in a row, losing on both occasions. Adams fears that this weak mentality they seem to have displayed is precisely the kind of thing that can cost nations at a major tournament and he admits it’s a worry for England this summer. Dele Alli has shone for Tottenham but is he mentally tough enough for England? ‘You must be able to handle winning emotionally and mentally and if they don’t know how to win it, they aren’t going to win it,’ Adams told the Sun. ‘I’m really worried about these Tottenham players, I don’t think they know how to win. While Adams raises a fair point, it could also be the the long-standing rivalry between Arsenal and Tottenham talking here, as Spurs’ players are arguably among the finest England have right now, and others seem just as likely to ultimately let the team down this summer.